Martha Sprackland is a writer and editor. She was co-founder and poetry editor of Cake magazine, was assistant poetry editor for Faber & Faber, and is one of the founding editors of multilingual arts magazine La Errante. She is the editor of independent press Offord Road Books. 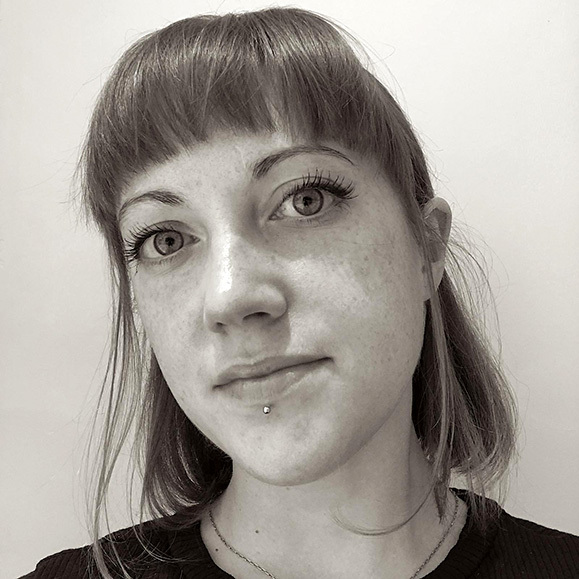 In 2018 she joined Poetry London as associate editor, and in 2019 became acting poetry editor. She is also a freelance editor working across the publishing and poetry industries. Twice a winner of the Foyle Young Poets of the Year Award, she was also the recipient of an Eric Gregory Award from the Society of Authors, and was longlisted for the inaugural Jerwood–Compton Poetry Fellowships in 2017. Glass As Broken Glass was longlisted for a Sabotage Award, and she placed in the Poetry London Competition in 2015. Her work has appeared in Poetry Review, LRB, Five Dials, New Humanist, Magma, Poetry London and many other places, and has been anthologised in the Salt Book of Younger Poets, Lung Jazz: Young British Poets for Oxfam, Best Friends Forever, Vanguard, Birdbook, and the Best British Poetry series, and she has read at a number of festivals, including Port Eliot, The Good Life Experience, Caught by the River Thames, and Curious Arts Festival. In 2015 she was invited to participate in the Elizabeth Kostova Foundation poetry festival in Sofia and Koprivshtitsa, Bulgaria. In 2017 she spent a month in residence at Yaddo. In 2018 Martha returned to Sofia as part of the Sofia Poetically Animated conference, and in September 2018 she took part in a translation week in Tunisia with the British Council and Modern Poetry in Translation. Martha's debut pamphlet, Glass As Broken Glass, was published by Rack Press in January 2017; a second, Milk Tooth, was published by Rough Trade Books in November 2018. A full-length collection is due to be published in 2020. A non-fiction book on obsession and sharks is forthcoming with Little Toller Books.